Leech can currently be seen in the Queen biopic, 'Bohemian Rhapsody', which has already grossed €255 million worldwide. 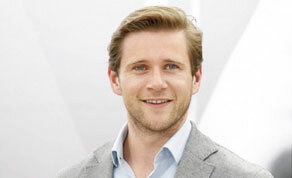 Irish actor Allen Leech has been announced as one of the leading cast for CBS' new drama pilot 'Surveillance'. Leech will co-star alongside Sophia Bush in the 20th Century Fox TV produced show with CBS TV Studios co-producing. Matt Reeves will executive produce the show through his Production Company 6th & Idaho alongside Riggen and White. Written by David C. White and directed by Patricia Riggen, 'Surveillance' is described as a complex and timely spy thriller centred on the head of communications for the NSA, Maddy (Bush), a charming operative who finds her loyalties torn between protecting the government's secrets and her own. While Leech will play Mike, Maddy's husband and accomplished former CIA operative. Catalina Sandino Moreno, Raphael Acloque and Matthew Modine make up the rest of the recently named cast. Leech can currently be seen in the hugely popular Queen biopic, 'Bohemian Rhapsody', which is still in cinemas having already grossed €255 million worldwide to date. The Irish actor will also reprise his role as Tom Branson on the international hit show 'Downton Abbey' with filming beginning on an untitled follow up movie.